In the early 1960s, American biochemist Marshall Nirenberg's research provided the first breakthrough in breaking the genetic code, deciphering a portion of deoxyribonucleic acid (DNA), which led to the code's unraveling by the mid-1960s. For this work, the effective basis for modern genetics, Nirenberg, H. Gobind Khorana, and Robert W. Holley shared the Nobel Prize for Medicine or Physiology in 1968. In recent years he has been an outspoken advocate for embryonic stem cell research and therapeutic cloning, and against chemical and nuclear weaponry. 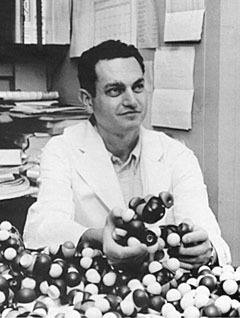 His wife, Perola Zaltzman, was a biochemist at the National Institutes of Health.